Pedestrians and cars share the intersection of Congress Street and Sixth Avenue downtown. In a “scrambled” intersection, pedestrians cross diagonally while all traffic is stopped, and right turns for vehicles are banned. The term “pedestrian scramble” does a significant disservice to a good idea. Rather than connote a scene of people running about in confusion, to traffic engineers the term is a small but radical change to intersections that are busy with pedestrians. It’s not a new idea. Pedestrian scrambles have been around since the late 1940s and have been used throughout the country. In fact, at one time it existed in downtown Tucson. In places like Brooklyn, Boston, and Baltimore, intersections with a pedestrian scramble close to vehicle traffic in all directions including right turns as part of the traffic-signal cycle. It’s time to bring it back to Tucson. Or at least it’s time to talk about doing so. The reasons pedestrian scrambles lost popularity vary, and why it disappeared from Tucson isn’t clear. While the primary goal is to provide a safe place to cross an otherwise busy street, the poorly-named “scramble” offers pedestrians the chance to cross the road in a new direction — diagonally. There are some trade-offs, including the aforementioned banning of right turns at these intersections. But considering there are several one-way streets already in downtown Tucson, would hardly be exceedingly inconvenient for drivers. One consequence: It could take longer to drive from one side of downtown to the other because the crossing signal in a scrambled intersection takes longer. But given the size of downtown, it’s likely it would take no more than a handful of minutes when traffic is flowing naturally. 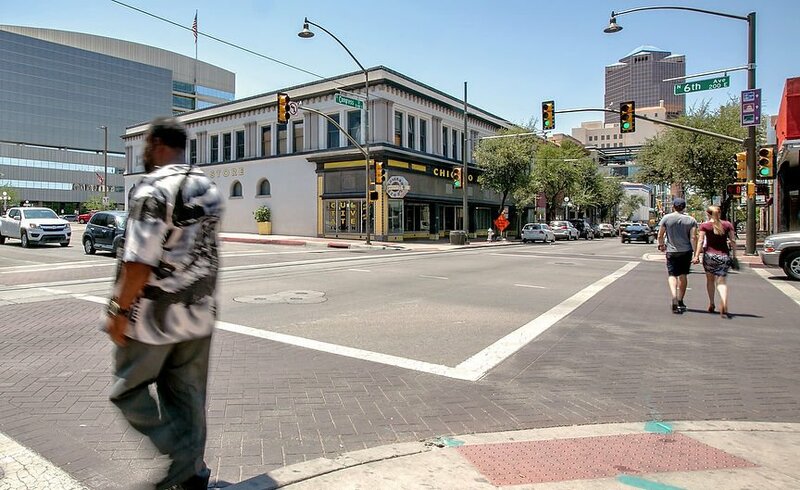 The scramble is worth considering as more pedestrians come into downtown, says Shellie Ginn, the interim deputy director at the city of Tucson’s Department of Transportation. “It is worth investigating,” she said. 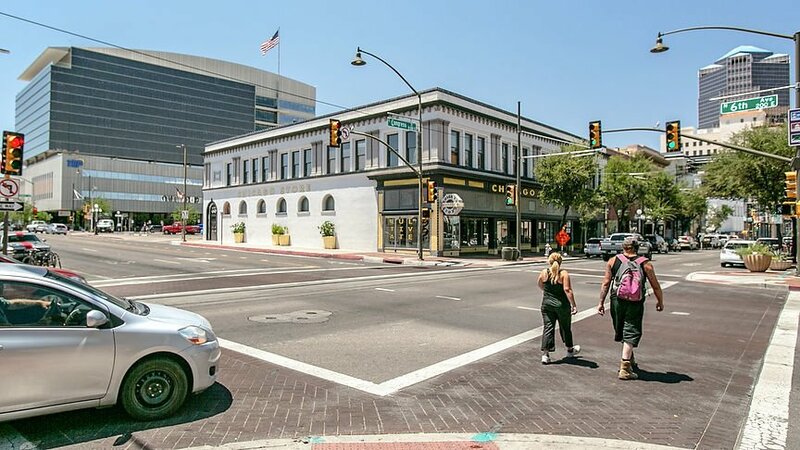 However, it is just one of the dozens of things the city is looking at as it attempts to reduce the number of pedestrians hurt and killed on Tucson roads and to improve the flow of traffic. “We are going to look at everything that can help bicyclists and pedestrians move around,” she said. At the very least, the scramble is on the city’s radar. I already have a list of Tucson intersections worthy of being scrambled. And I won’t mind if someone else — like a bicycle-safety activist or traffic engineer — gets all the credit. Cross your fingers that we see some rain later this week. Street Smarts Quiz: How much do you know about Tucson's streets?